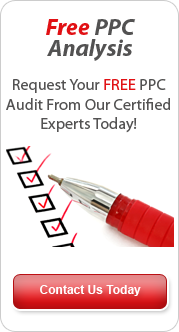 ← Free £75 AdWords Vouchers – Yes FREE!! OK so we missed day 1 but our excuse was that we were heavily snowed in and spent the day trying our best to get home from the office so apologies for that. Over the next month Click Vision Media are giving away some top tips on Google AdWords advertising and explanations of abbreviations and points that we think will help you in your quest for 2011 to search out some of that £billion revenue stream that is AdWords marketing. Feel free to add comments as we go and even leave questions as to the next blog you want written about. At different points in the process we are also giving away some free £75 google voucher codes as a Christmas gesture so keep your eyes peeled. These can only be used by 1 person so it really is first come first serve. Keywords – OK so we are going to presume that you have set up your AdWords account and have entered your billing and are now ready to start your journey into the world of Pay Per Click. Where do you start? So we have defined that a keyword is something that a searcher will type into their chosen search engine to find a service, product even information an that term. So where and how do you go about seeking out the terms that define you and your business so that you can utilise these term s in both your PPC and SEO efforts. Lets say that your business sells red shoes for men that are leather and formal. This is your starting point of the process. Red Shoes – Red Leather Shoes – Formal Red Shoesbut this strategy in AdWords can cost you alot of budget for listing and bidding against such generic terms, remember that the shoes are not for ladies , or children. So if you wanted to go down this route you need to add some negative keywords to the account, like women’s, ladies, kids and children to name a few. After this you need to think of your longer tail keywords and generally the most targeted and cheapest terms to bid on. Like Formal Red Shoes For Men. This type of search term will narrow your audience massively but those that do visit your site will be the most targeted people in the right frame of search. You can also start now to think of search additions like buy, cost, prices etc but remember think of the budget you have set aside and establish the best set of terms for the budget, if you have money to test then utilise some more generic terms in the mix but if money is tight target very specific terms only. Now your list looks a bit like this…. Women’s, Ladies, Children’s, Kids, Babies, Toddlers, Boots,Stilettos, High Heel and so on this negative list needs to be exhaustive as possible to avoid any wastage in budgets. Try and get into the habit of always adding negatives for terms that you do not want to appear against even if you are using and exact match campaign. You may want to test at a later date and forget that you have not added negatives and appear for all the wrong searches. You can also use several tools to help you build out your list. Some helpful tools listed below will give you indication of popularity of terms and in most cases search figures for predefined dates….here are some..
Wordtracker – There is a free option here but we find basic but incredibly useful for new users. Now its time to decide on what type of Match Term to use in your accounts…….Stay tuned for the blog on that one and the possibility of Free AdWords Vouchers!! This entry was posted in Pay Per Click Tools, PPC Start Up Advice and tagged adwords, Adwords Vouchers, Free Adwords, pay per click, Pay Per Click Management, ppc. Bookmark the permalink.